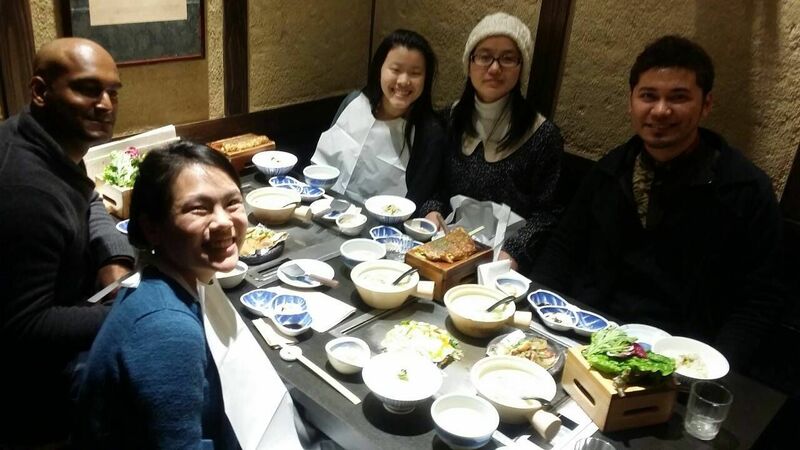 To show you that we GPES students are not only studying all the time and also know how to enjoy good times together, let me tell you about the times we shared meals together. These were held either at one the many delicous restaurants in Tokyo, or at one of the students’ homes. The first time we went in February 2014 went for lunch to eat traditional Japanese stew at a restaurant in Shibuya’s newest department store “Hikarie” located close to Shibuya station. We all chose either traditional Japanese stew (consiisting of vegetables and some assortments of meat) or fried chicken accompagnied with vegetables and rice. It was not too pricey and the food was more than decent. 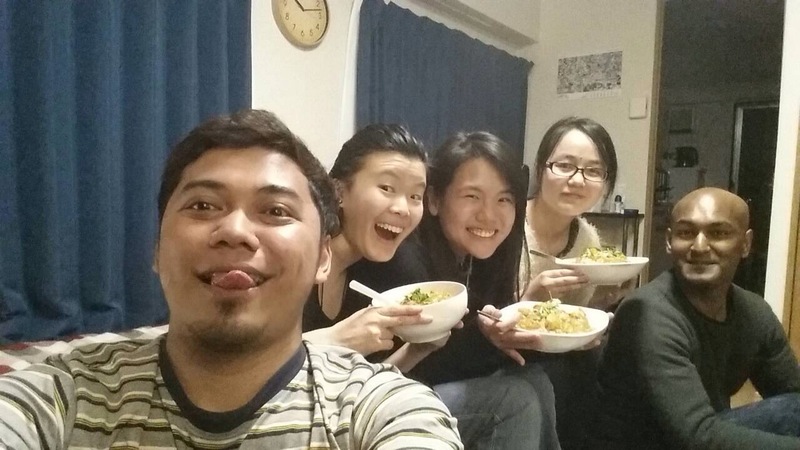 The second time, we had dinner together, although this time at the home of one of the students. The dish that was prepared was traditional Indian chicken curry with rice. Although South Asian curry should have a solid degree of spicyness, the curry in question was rather mild to accomodate indvidiual preferences. Both get-togethers offered many occasions for the GPES students to get to know each other better and to enjoy student life in Tokyo. Through these meals and various other activities genuine understanding was fostered among the entire present GPES student cohort and the GPES students that were only mere acquaintances in the beginning became good friends to me.